Seppeltsfield has ventured into the realm of virtual reality technology, in an Australian first for the promotion of wine tourism. The 165 year old wine estate is contrasting its heritage-rich nature with the trialling of cutting edge ‘VR’ technology, launching a virtual tour of its Barossa Valley property. The virtual reality tour provides smart phone users with the ability to immerse in sweeping panoramic “spheres” of Seppeltsfield’s wine, food and art precincts. The VR smartphone tour, with the use of special lensed headsets, provides users with the sense of physically standing within the grounds of one of Australia’s iconic wineries. The VR capability has been made possible by a partnership with fellow South Australian business, Schwerpunkt. 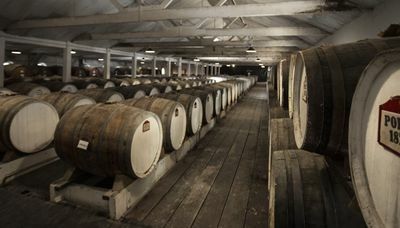 The high-tech start-up has captured Seppeltsfield’s vineyard, cellar door, barrel cellar, winery, art gallery and restaurant using the latest in high definition VR photography. In addition to VR, the tours have been made available without the requirement for special headset hardware. Any smart phone, tablet or desktop user can access the scenery in a 360 degree tour mode. Accessing the tour is done via a website link or through scanning a quick response (QR) code, which Seppeltsfield will feature on its wine labels. Seppeltsfield has recognised the use of virtual reality as a rapidly developing avenue to assist in the drive for domestic and international tourism. Already opening its doors to over 150,000 guests annually, the estate hopes to leverage its visual appeal to international markets, Asia being at the top of its list. China particularly has embraced VR technology, with over 400,000 headsets reportedly being sold each month. Whilst early users of VR have largely been the ‘gamers’ consumer segment, Schwerpunkt’s founder, Mr Henning Kolvekorn, is adamant the technology is moving to the mainstream. “The likes of Audi, Coca-Cola and The New York Times are all using VR for visual marketing”, said Mr Klovekorn. “We are extremely proud to have partnered with Seppeltsfield as the first wine business in Australia and one of very few in the world to be promoting themselves with the technology”, he added. Seppeltsfield will also be sending the technology to China as part of a state government tourism mission this month - the VR tour at hand to assist in pitches to in-bound tourism agents, airline partners and media. 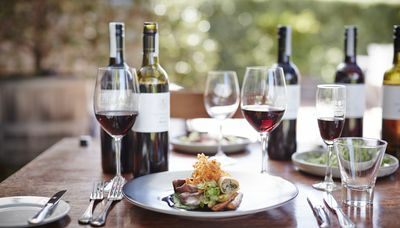 South Australia’s Minister for Agriculture and Tourism Leon Bignell, who is taking part in the China mission, said the collaboration was an excellent example of innovation in the wine and tourism sectors.